Revolver’s Road to the Golden Gods Tour FIRST ONE EVER! 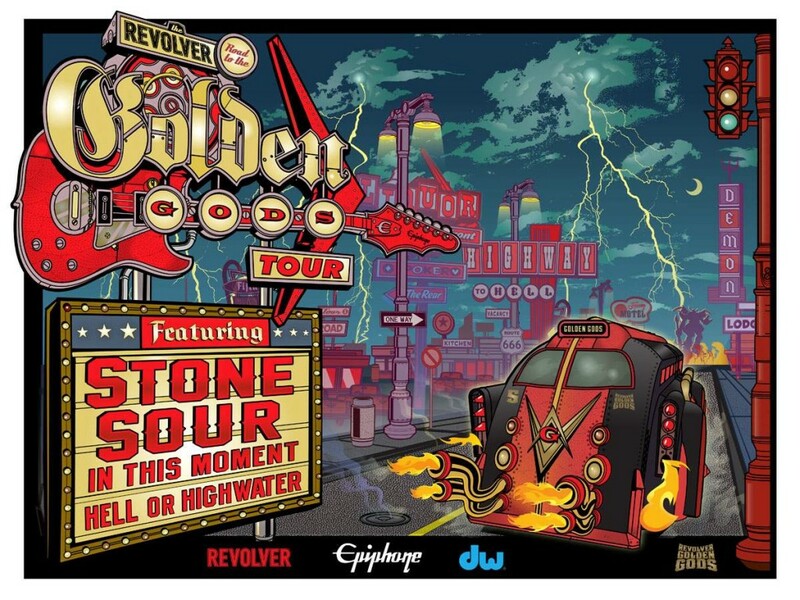 Stone Sour, In This Moment, and along with Hell or Highwater will be going on the road for the first ever Revolver “Road to the Golden Gods Awards” Tour. Both Stone Sour and In This Moment are up for awards this year. Stone Sour is nominated for Best Album and Best Vocalist and Maria Brink of In This Moment is also up for Best Vocalist (DON’T MAKE ME CHOOSE!) and their single ‘Blood’ is up for Song of the Year. This sic tour starts off April 2nd at the State Theatre in Portland, Maine. I will be counting my pennies in hopes I can attend the Wellmort Theatre in Montclair, New Jersey on April 5th. For tour dates visit Metal Injection or hit up Revolver Mag. Check out In This Moment’s single Blood. None of this could be possible without the existence of Revolver Golden Gods Awards. Golden Gods 5th Anniversary Show will be held in L.A., California. 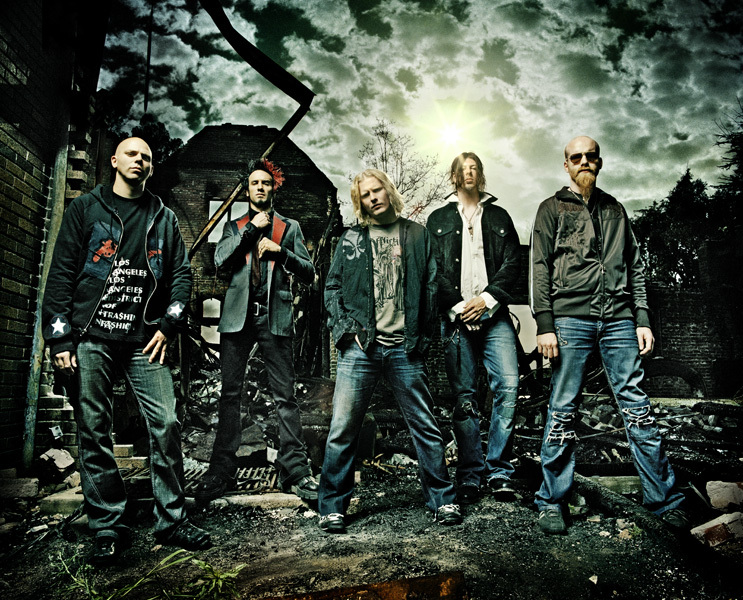 According to Revolver Magazine, “In addition to Stone Sour, other 2013 Golden Gods performers include Metallica, Five Finger Death Punch, Anthrax, The Dillinger Escape Plan, and Halestorm.” We are in for a treat! The show will air live on AXS TV and Xbox Live on May 2nd, 2013. The rock star host is none other than Chris Jericho. You know, that really hot wrestler? Yummy! I believe the polls close on April 15 so make sure you hop on the website and vote! Being such a huge show, don’t bother looking for tickets; it has already been SOLD OUT! GO AND VOTE ON Revolver Magazine’s WEBSITE! 2 replies to Revolver’s Road to the Golden Gods Tour FIRST ONE EVER! Maria Brinkis always messing with her hair because she’s always head banging. She has beautiful blonde long locks and I love when she flips it around.AAnd if you didn’t notice, she’s always has air blowing underneathher when she performs, causing her hair to be everywhere.